Green neoprene like material with all four suits printed on the corners. Rolls up and easy to transport. Poker is the kind of game you can play anywhere, and now thanks to the portable Cartamundi Poker Mat, you really can. Turn any surface into a small poker table with this superb quality poker cloth. Padded to protect table tops and surfaces this matt is perfect for card games either at home and on the move. 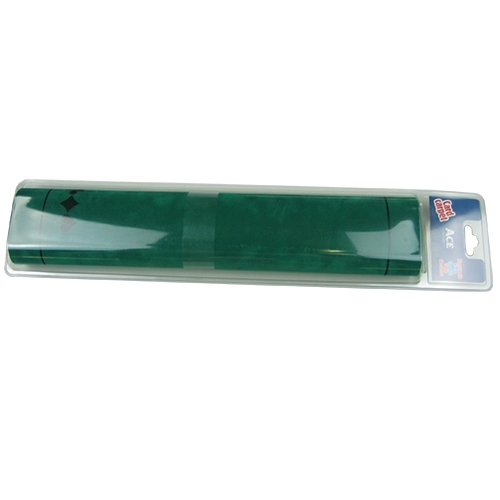 Made from a green neoprene like material it is both smooth and durable for a better feel and an even better game.